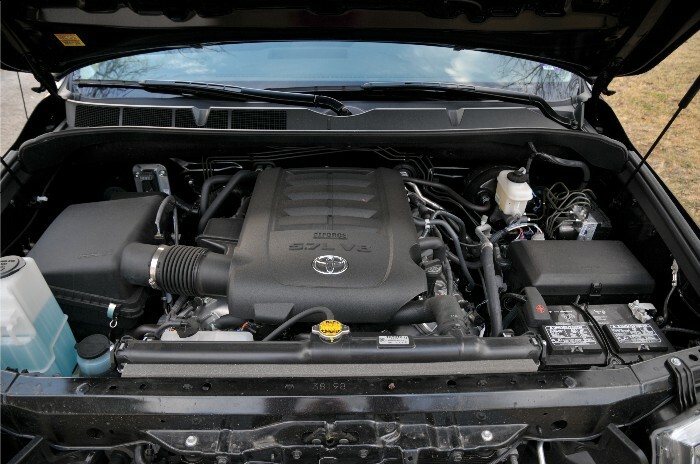 Contrary to the only other Asian full-size pickup, the Toyota Tundra boasts a choice of powertrain configurations including a more powerful V-6. This on top of the truck arriving in two model grades, three cab styles, three wheelbase lengths and three bed lengths. And on top of all that there are still the “special edition” packages that can be had, such as our recent TRD Rock Warrior tester. While the truck was no wimp, truth be told I did not go out an battle any rocks with it. The styling package was very attractive and I did not want to take the chance of beating up this press fleet model. While the full-size Tundra may not be ready for “heavy duty” triple-axle trailer towing (no HD models offered) it will pull just about everything else. Not many of you will be needing to haul your livestock with this thing but a run to the Lake with the boat or camper will be no problem. 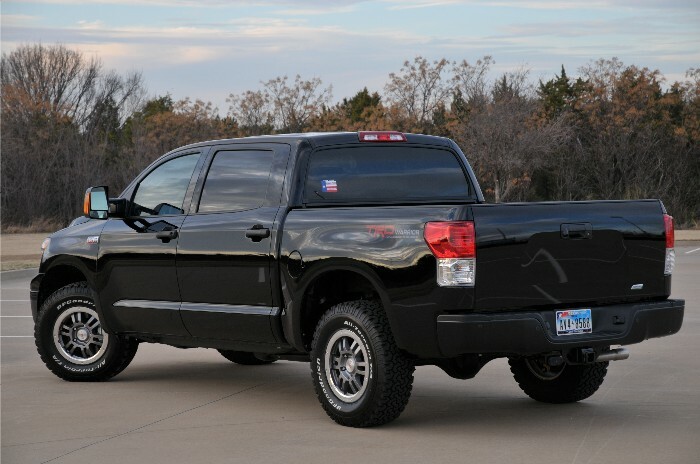 Thanks to so many cab and bed configurations being offered it is clear that Toyota wants the new Tundra to be the truck of choice to integrate into as many lifestyles as possible. Our tester featured the big engine, and by big we mean 381 pounding horses and 401 lb. ft. of torque in a 5.7-liter V-8 package. Behind that, Toyota’s six-speed automatic gearbox is one of the smoothest transmissions I have experienced in a truck. 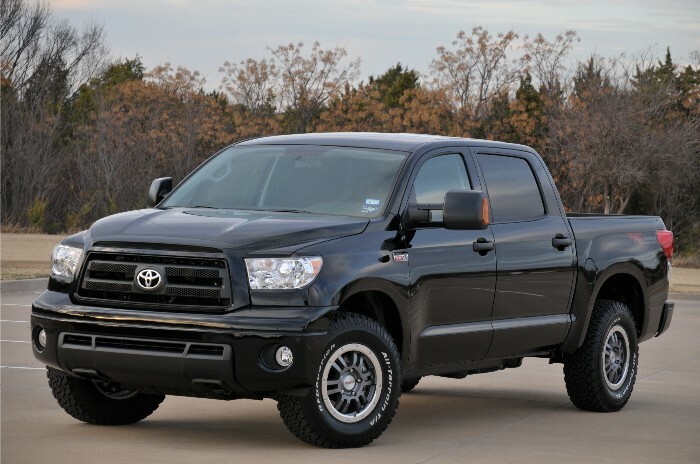 For pickup traditionalists, Toyota engineers have reached a compromise in the ride quality for the new Tundra. While being one of the smoothest riding trucks on the road they have still managed to include just enough bounce to remind drivers they are not behind the wheel of their luxury SUV or favorite big sedan. Think Lexus LS in permanent sport mode with more air in the tires. 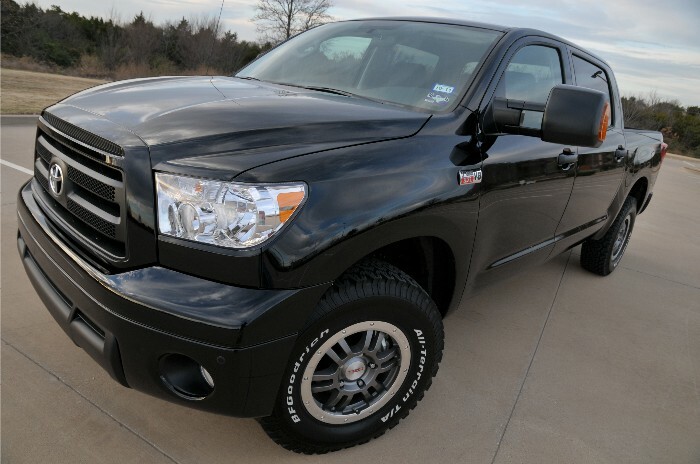 Of course, being a Toyota, the new Tundra is loaded with all the latest in technology and safety equipment in an environment that will haul a family of five comfortably in any of the four-door variations. XM, Bluetooth, nave, backup camera and even rear seat entertainment DVD can be had in the big truck. About the only gripe I have is the mix of interior finishes and tones. Looks like designers went out of their way to set a new record for variety inside Tundra. Oh, and the right column of controls for the indash nav system are almost out of reach of the driver. Yeah, Tundra is a real truck, built for the American market alongside younger brother Tacoma here in the Lone Star State in San Antonio. Pricing on our CrewMax 4×4 tester begins at $33,540 with a final sticker of $40,841 after the TRD package. Fuel economy is rated at 13 mpg city and 17 mpg highway, not too competitive for the segment anymore.